Greetings Astrophotographers! Submissions to our photostream and EvE-Scout Observatory have slowed down some, so I thought I’d send out a friendly reminder. 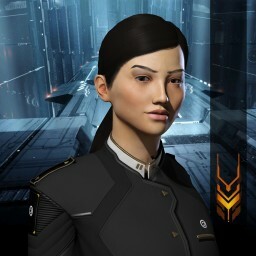 I realize too that we get new members all of the time and many of our scouts may not even know we offer the service and that it's also open to the public, so any capsuleer can submit images from the Eve Online community. So, what is the Observatory? I believe it’s fair to say the majority of, perhaps even all, explorers share a common love for the beauty that New Eden has to offer. As we travel the stars, we often try to capture and share the wonders we find along the way with our fellow capsuleers via the images that we take. We post and share them in many different ways on many different sites. There’s no one place to go, no observatory, no gallery that showcases the marvels of our cluster. It's our hope that the EvE-Scout Observatory will be that common place folks go to for sharing and seeing images from around the cluster. With that in mind, as curator, it will be my task to ensure the quality of the gallery. We’re not looking for quantity here, so please, don’t submit images by the cargo load. Please only a few at a time, it takes time to process them to our sites. So, only submit images that you are truly proud of and wish to share. Images that you don’t mind if others will download and use. We’ll not be watermarking these or making any other kind identifying mark. We want this to be a public, creative commons license for all to enjoy as they see fit. If you have an issue with that, then don’t submit. I will be creating an album for each astrophotographer, so your work will be associated with you, and I’ll be adding “by pilot name” to the title. I’m not going to be too critical, so please don’t be afraid to submit an image. There’s only one scenario that I’ll flat out refuse and that’s if the GUI is showing. If that’s the case, see if you can trim the image down, cutting the GUI out, then submit it. If requested, I’m happy to provide feedback and if I do reject an image, I will be sure to let you know why. For screenshot tips see my blog post: “Astrophotography 101”. To submit your work, please email a link from a location you’ve stored the image such as Imgur or Flickr. Imgur is easy to use and you don’t have to have an account! And now you can submit your image on Discord if you prefer! Thanks to Ectheleon for that suggestion. The channel can be found under EvE-Scout Enclave and #eve-observatory. PLEASE! Include at a minimum the Title, Pilot name, and System Name (if possible). Optionally please send all the details you can so I can tag the image accordingly. Such as ship class, planet name, station name, etc. Please, I don’t have the time nor am I going to take the time to fill in any gaps. Don’t assume I’ll know what kind of ship it is or place or whatever. I just don’t have time. Please fill in as much as you can about the image. One last thing, by sending the images to the provided email you’re basically giving EvE-Scout permission to use and post your images to our albums and Observatory. If you post links in Reddit, Twitter, or elsewhere, don’t assume we post those as well. You may not want your images posted up on a more public platform which is alright and understandable. Also, if I grabbed and posted those as well, it would basically be taking without permission and that’s something I’m just not going to do.